Turn to Palmetto Heating and Air of SC when you need to have a gas line installed. Based in Mount Pleasant, South Carolina, we install gas lines for homeowners throughout the area. The installation is fast and easy, and you won't have to worry about going over budget since we charge very affordable rates. Request an installation today! Gas lines offer many benefits. Homeowners choose them because it allows them to cook food on their grills more evenly and at the right temperature. It also means they don't have to go out and refill or buy another propane tank*. In addition, they make homes more energy efficient, helping to increase property value. *If necessary, we can install adapters that allow you to switch your gas from liquid propane (LP) to natural or natural to LP. You can have a gas line installed for just about any need. We often install them for outdoor lights and indoor fireplaces. We also install them for indoor and outdoor cooking surfaces, as well as for Rinnai™ hot water heaters and outdoor showers. 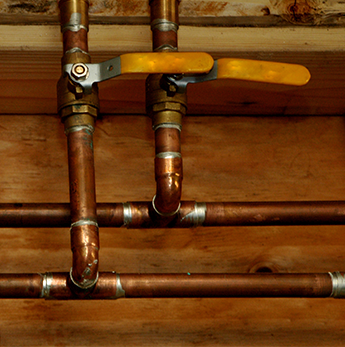 If your hot water heater or outdoor shower requires a plumbing repair, we can also provide that.